I am hopeful for this. 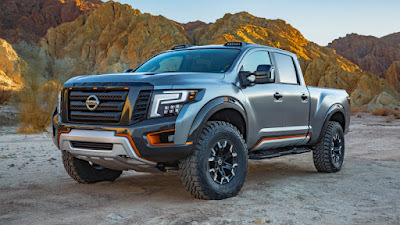 It's a striking design modification of Nissan's announced Titan XD truck. Although, I'm not a 4-wheel-drive guy, this look is awesome. And, with all the love I have for the service department guys at Future Nissan, in Roseville, CA, I'd love to buy another Nissan vehicle. 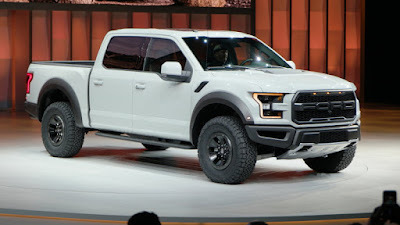 After going to Ford and looking over the F-150 re-design, I haven't been a huge fan of it. I was a little disappointed with some of the plastics and design issues. This truck, like the Nissan concept above, is build and designed for some big-time 4-wheel-driving. I love the exterior looks. These two "trucks" are interesting. I remember twenty years ago, I made all sorts of jokes about Hyundai. 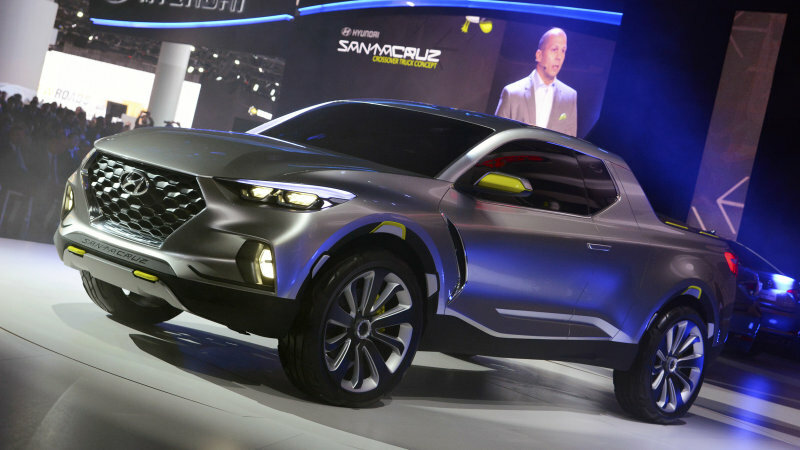 Now, along with Kia, Hyundai is making really nice looking cars. I'm not sure the life of their vehicles and the quality level, but initially the Sorento I drove and the Kias and Hyundais I see look like great vehicles. 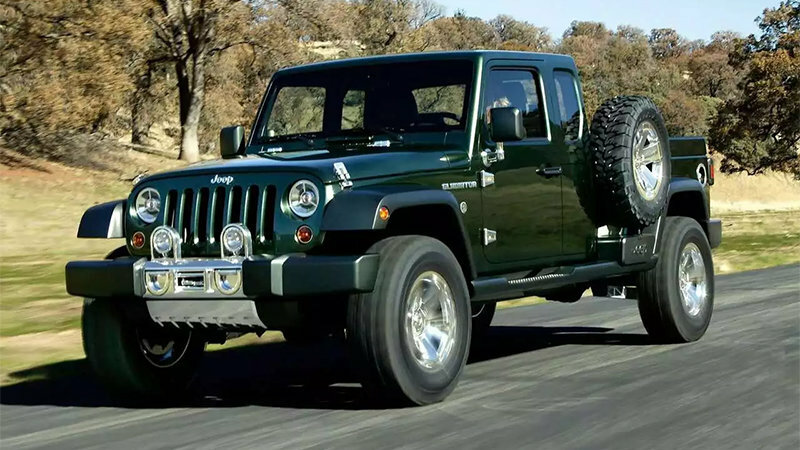 And Jeep? Well, they've been around for quite a while, are known for their 4x4 capabilities, and this truck idea has been kicked around for a while. I don't think I'd move to either of these two, but they are fun designs. 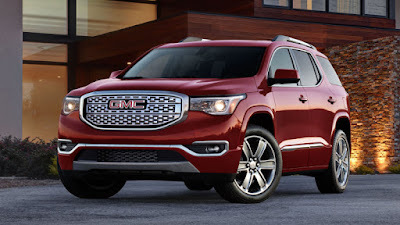 Aside from the price difference, in 2011 we looked closely at the Acadia and GMs other variants of this platform. This is a strong looking crossover, with a tall stance that helps it look more like a truck than a car. It's been a favorite of mine in the CUV class. This refresh looks good. These two cars are both working to reinvigorate their brands. 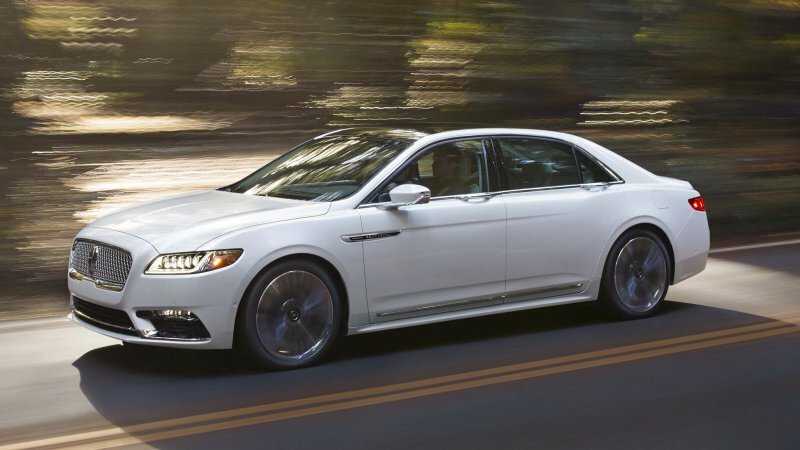 Lincoln, with the return of the Continental nameplate, hopes to revive a tired brand. I am hopeful, again, for them. I used to love the Lincoln Continental. 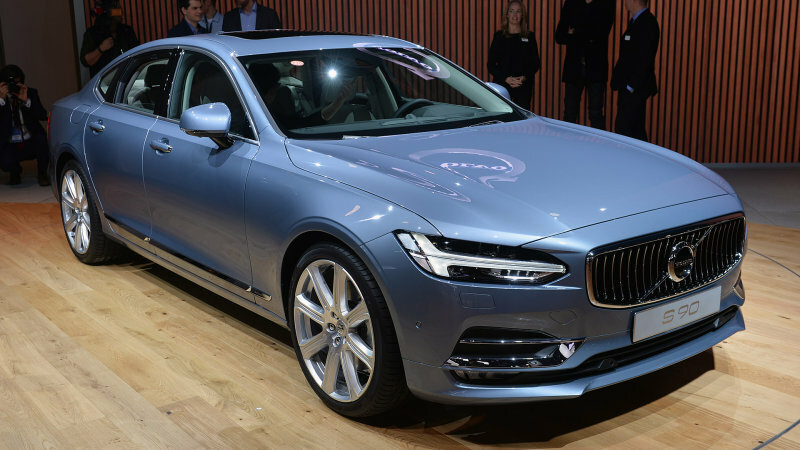 The Volvo has something special, to me. I love the long oval grill and the sleek lenses of the headlights. I love this car company's history. These are two beautiful concepts, both from companies with very tired vehicles. 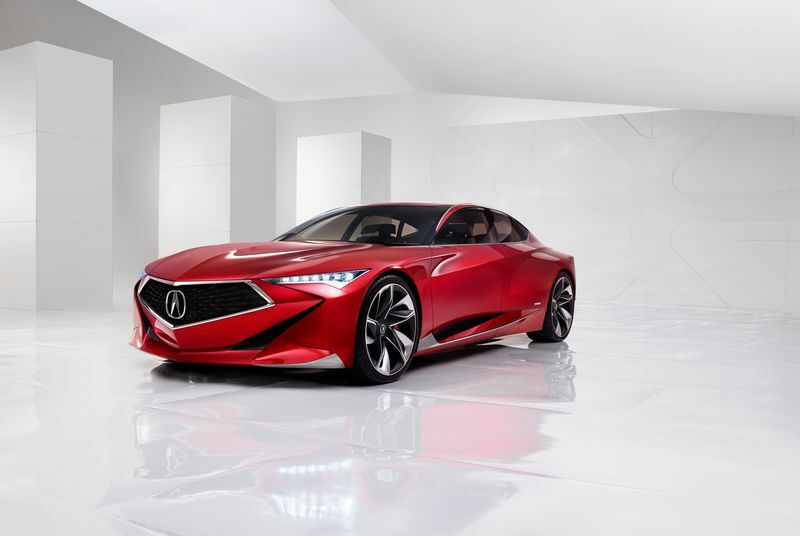 Acura has not designed anything I'd buy in 20 years. I miss the named models (Legend, Vigor, Integra). Although, I don't see the Precision coming to production, at least as seen at the show, it's a good move in design ideas. 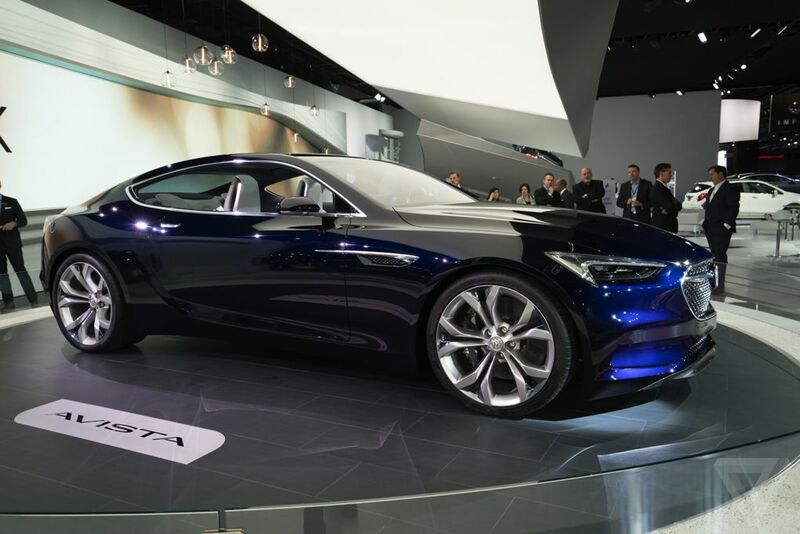 The Buick Avista is amazing and could make Buick relavent again. Currently, they are just rebadged GM cars and an ugly van thing built on the same platform as the GMC Acadia. My favorite thing to read about was this M2 from BMW. 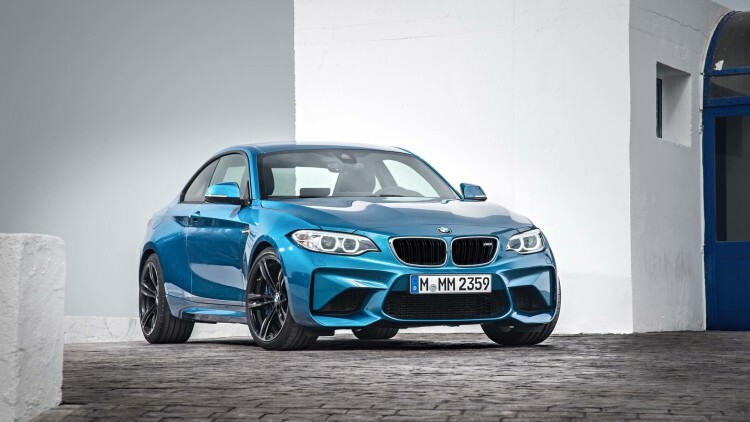 It's a return to the small car that is a driver's car. It's beautiful and powerful. This is my best in show. There were lots of other vehicles I read about on Autoblog and The Verge, but now I'm falling asleep. And since I make no money writing this blog, I'm going to take a nap, without proof reading or reviewing for mistakes.